Turned spindles and a large back panel with a pressed design on the chair back of this side chair creates a traditional country look. Solid Wood Double Pressed Back Chair. 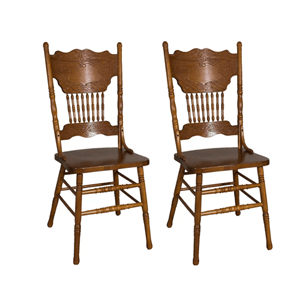 The Mackinaw collection includes a traditional dining set to meet any needs.